Outstanding and popular Hi-Vis backpack. One main compartment with internal separation. Internal pocket for MP3/iPod with rubber outlet for earphones. Expandable front pocket to fit a standard ball/helmet. Reflective strips on all four sides. Material: 420D Nylon & reflective strips. Dimensions: 42 x 28 x 15 cm. Decoration area: 14 x 12 cm. Suitable for screen-printing/ transfer printing or embroidery. 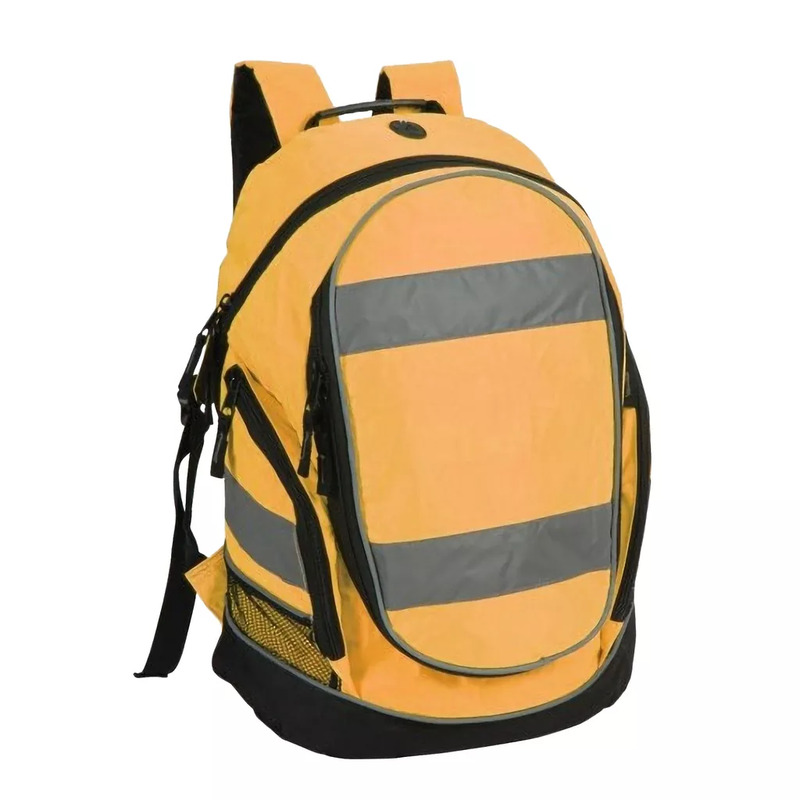 SHUGON - a wide range of bags creatively designed for logo print, embroidery or embossing.